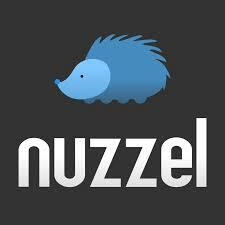 Psst… Have you heard about Nuzzel? Have you ever felt left behind when it comes to industry based news? Have you wondered how everyone else seems to know but somehow you remained unaware? Do you struggle to find the time to source relevant content for your blog? Or items to share and start conversations on social media? The solution is Nuzzel. Again. 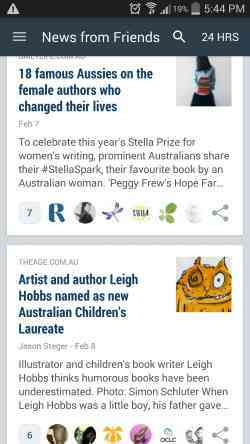 Nuzzel is a tailored newsfeed which you can access on the desktop, with the Nuzzel app or by having “top stories” delivered by email according to your preference settings. It’s an excellent way to surf industry news and source useful content. 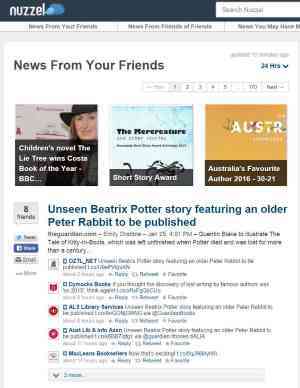 Once Twitter and Facebook accounts are linked, Nuzzel provides a feed based on what your social media friends are sharing, with the option to click through to see more. The basic algorithm is simple. Nuzzel counts links shared by the people you follow, over a period of time, and sorts them by popularity (News from Friends). You can drill down to see additional data such as who was sharing the link. As the majority of social media friends share a number of similar interests, this results in an industry specific feed containing news, opportunities and discussion from a wide variety of sources including blogs, newspapers and website articles. The newsfeed can be filtered and refiltered at any time to particular Twitter lists. For example, if you have a list of Australian authors. Or for one step removed and wider variety, you can view a feed based on the “News from Friends of Friends.” Similarly, you can view a feed from public Twitter lists with Nuzzel selecting the most popular stories (“Discover”). You don’t need to be logged in to Twitter or have Twitter account to use the “Discover” option. I find Nuzzel adds value to my time spent on Twitter – by saving me time. I may not be on-line when the most useful information is streaming by, to be gone forever, without me even noticing. I don’t want to trawl through lists of tweets wondering what I missed. I let Nuzzel sort out the key information based on the most popular links and deliver it to my Inbox. You can specify the number of stories you want to see, or like me, opt for a daily digest of an initial 5 Top Stories at a user-specified time. I can click through to see more if I wish. Every one of these items is of interest to me and I can see a longer list if I click through.